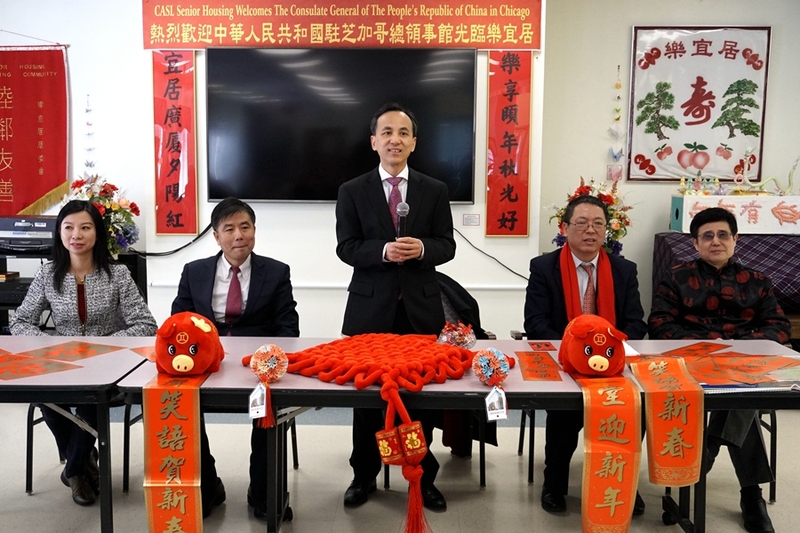 On January 25th, 2019, Chicago experienced its coldest day ever this winter. 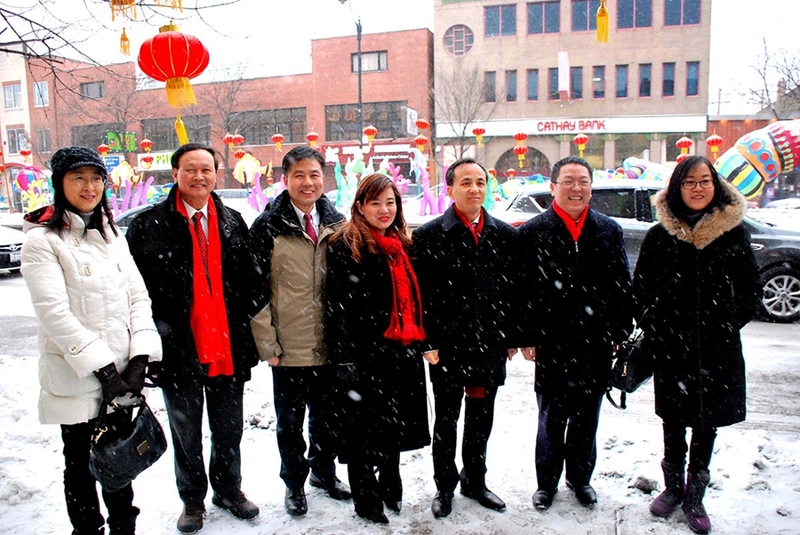 Yet against the biting wind and heavy snow, Acting Consul General Liu Jun, Deputy Consul General Huang Liming, and all the members of the Overseas Chinese Affairs Division made their way to the various overseas Chinese organizations in Chinatown to offer a bit of holiday warmth on this freezing Chicago day. 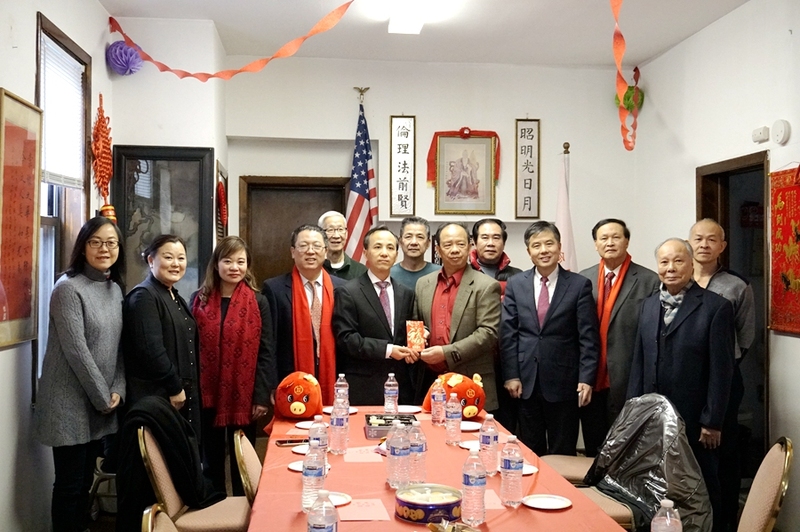 Acting Consul General Liu Jun and his delegation visited the Fung Lun Association, Hoy Ping Association, Fujian Enterprises Association, Chinese American Service League, Goon Shee Association, Chew Lun Association, Guang Hai Association, Zhongshan Association, Lam Sai Ho Tong Fraternal Association, Chinese Freemason’s Association, Chinese Freemason’s Music Society, On Leong Chinese Merchants Association, On Leong Music Society, and other overseas Chinese organizations and service agencies. 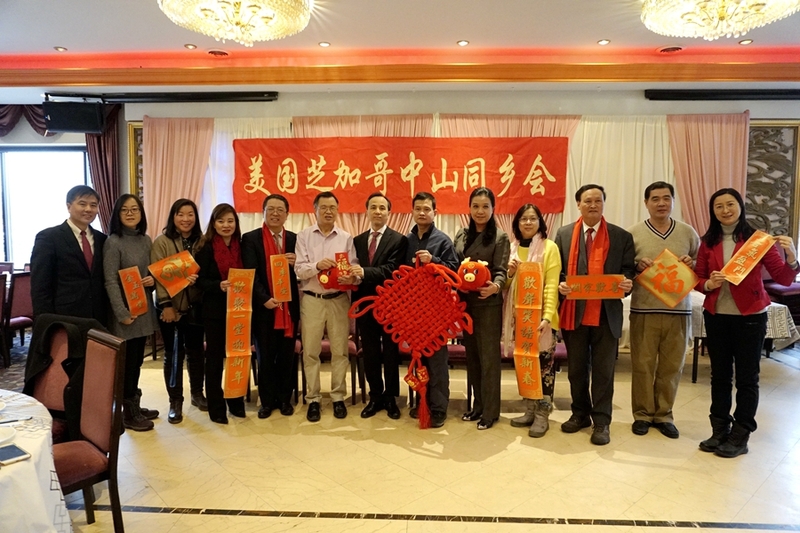 Acting Consul General Liu Jun, together with the leaders of these organizations, paid homage to the ancestors. 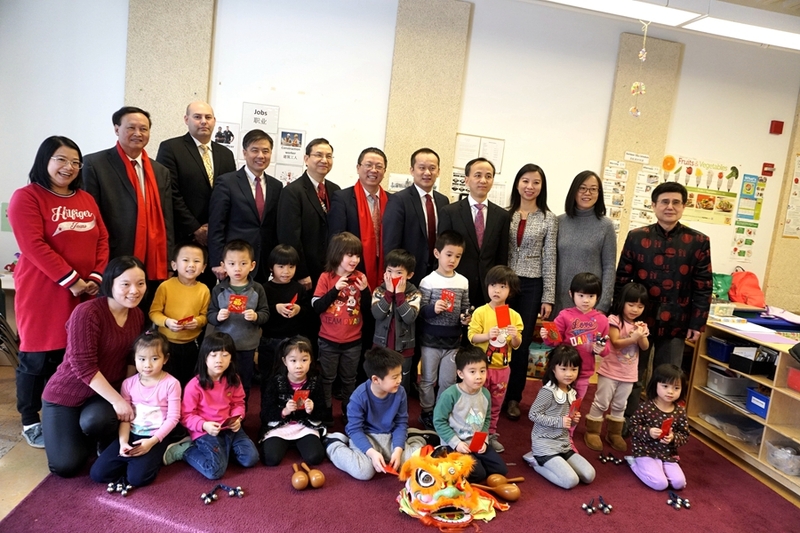 In addition, Liu Jun and his delegation went to China Elderly Apartments and the CASL Senior House to visit the elderly and viewed children’s performances at the Chinese American Service League. 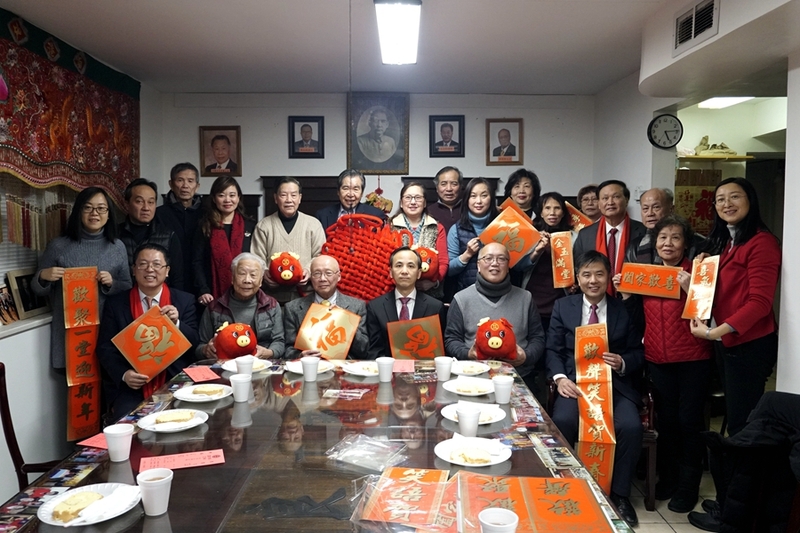 Acting Consul General Liu Jun expressed his deep appreciation for the fact that these overseas Chinese organizations have always concerned themselves with the development of the motherland and have sent strong messages against the cause of Taiwan independence. 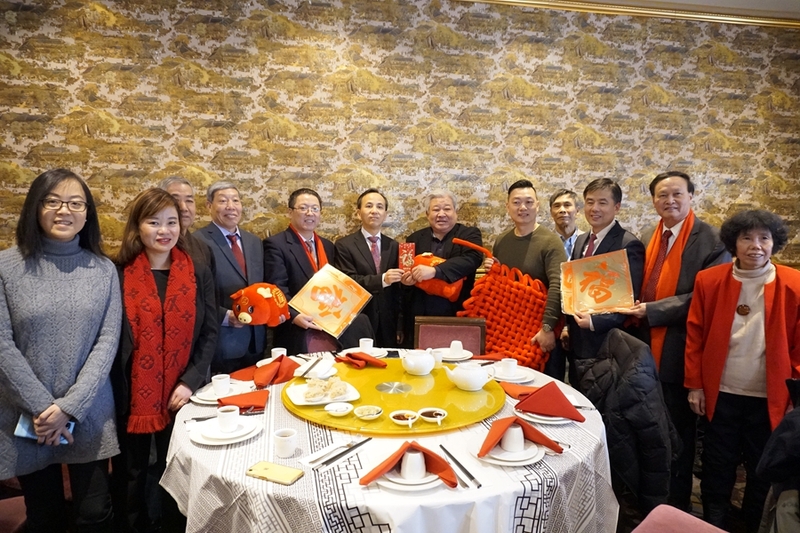 He expressed special thanks for the overseas Chinese organizations and service agencies’ contributions towards and efforts in uniting and serving the overseas Chinese community, spreading Chinese culture, and promoting friendly exchanges at non-governmental level. 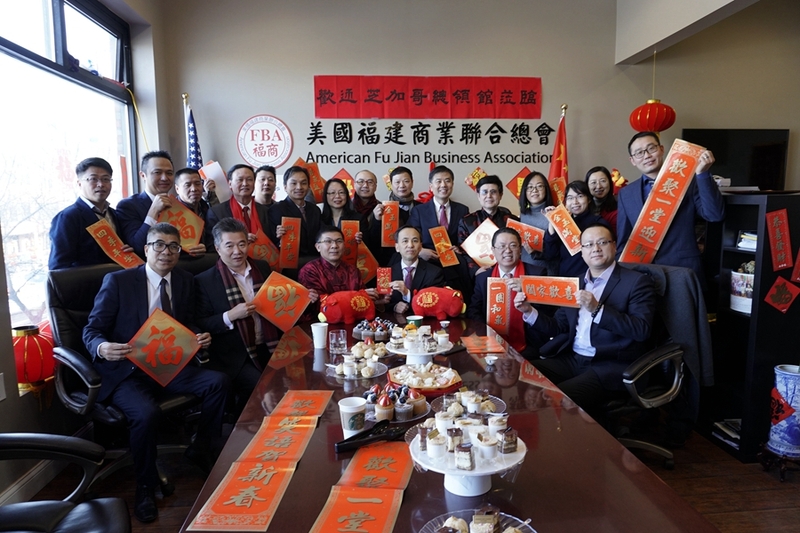 Acting Consul General Liu Jun hopes that all overseas Chinese in the United States concentrate their efforts to forge a new chapter in the history of China-US relations and compose new melodies of friendship between the two nations. 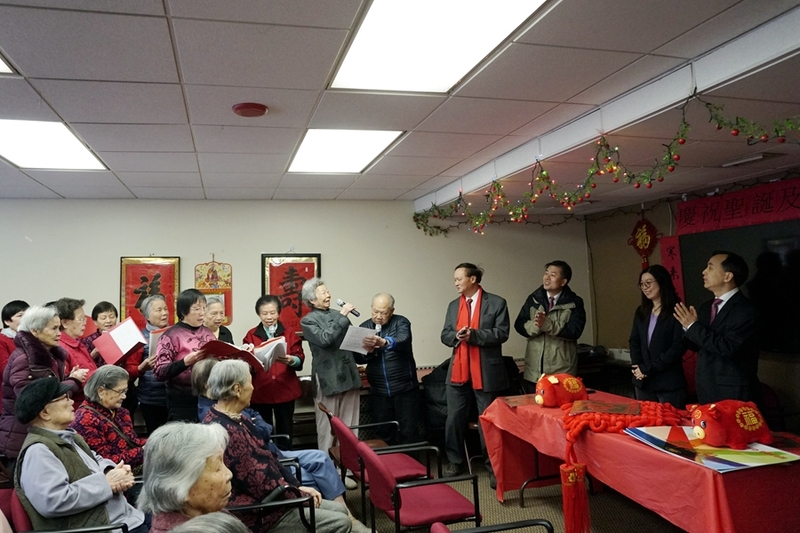 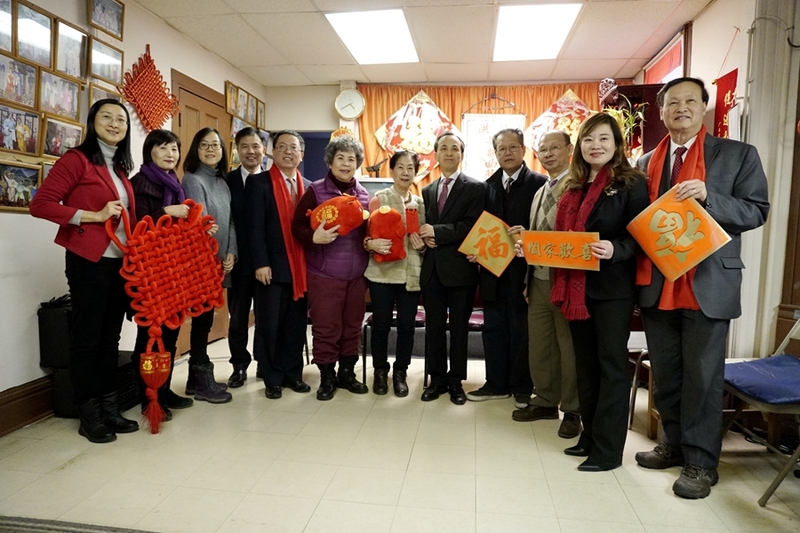 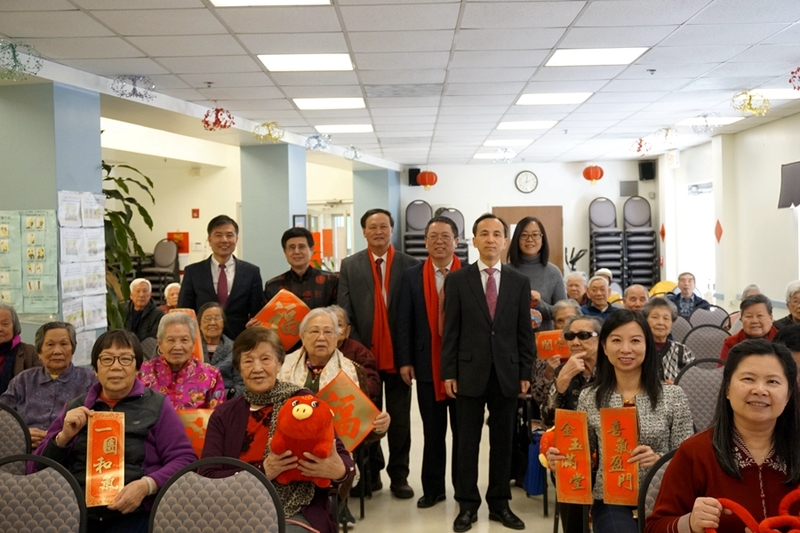 During the three-day trip through the overseas Chinese community, Acting Consul General Liu Jun and his delegation visited 41 overseas Chinese organizations and service agencies in both South and North Chinatown in Chicago. 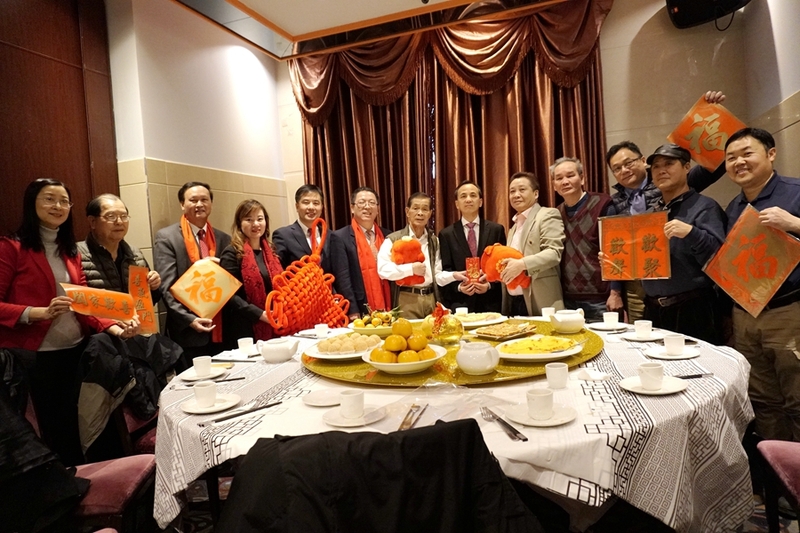 No matter where they went, the delegation was warmly welcomed and treated with great kindness. 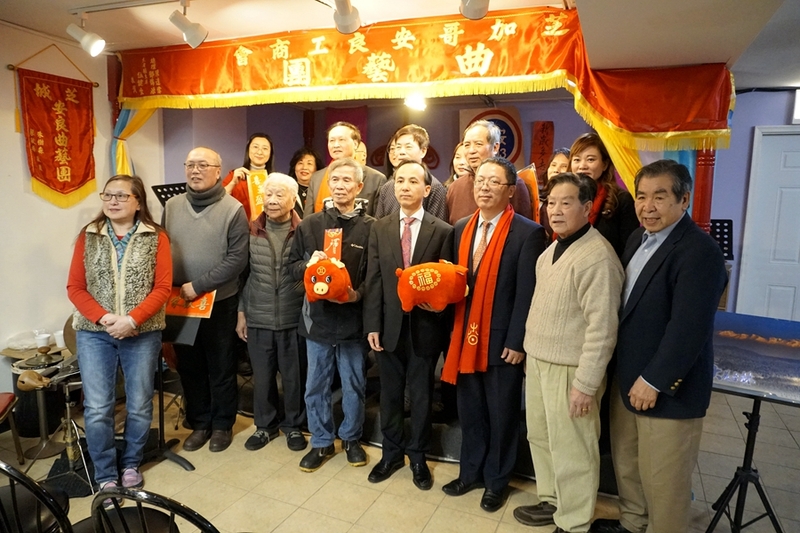 Must it not be forgotten, the leaders and members of these organizations also braved the chill and freeze to come celebrate the New Year and treat the delegation to miraculous lion dances and fanciful feasts. 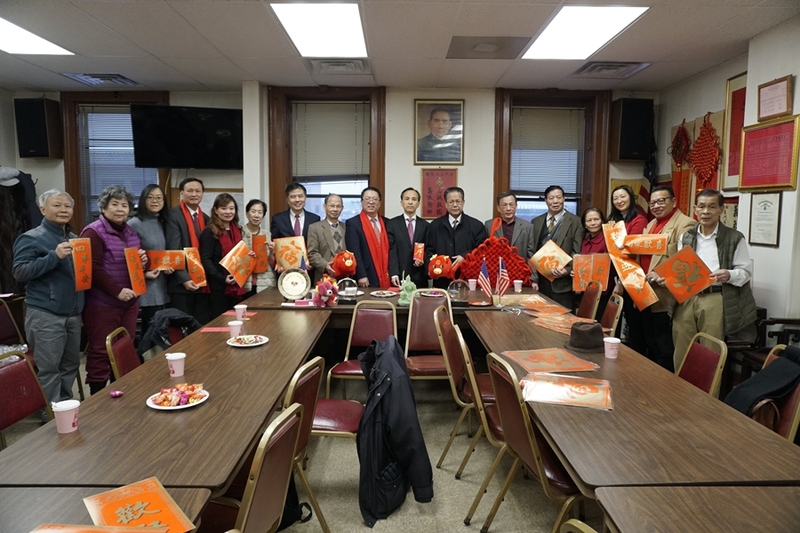 Everyone had a similar message on their lips: “Acting Consul General Liu Jun’s delegation slushed through the bitter snow to visit our community and bring New Year warmth to our hearts!” The organizations all made clear of their firm position of opposing Taiwan independence and supporting reunification of the motherland. 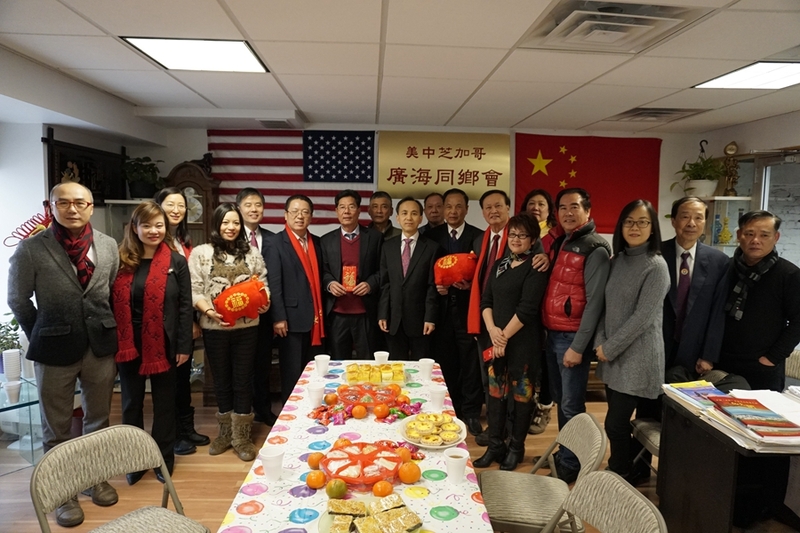 They are willing to work tirelessly for the prosperity and well-being of our community, the betterment of China-US relations, and the development of the motherland. 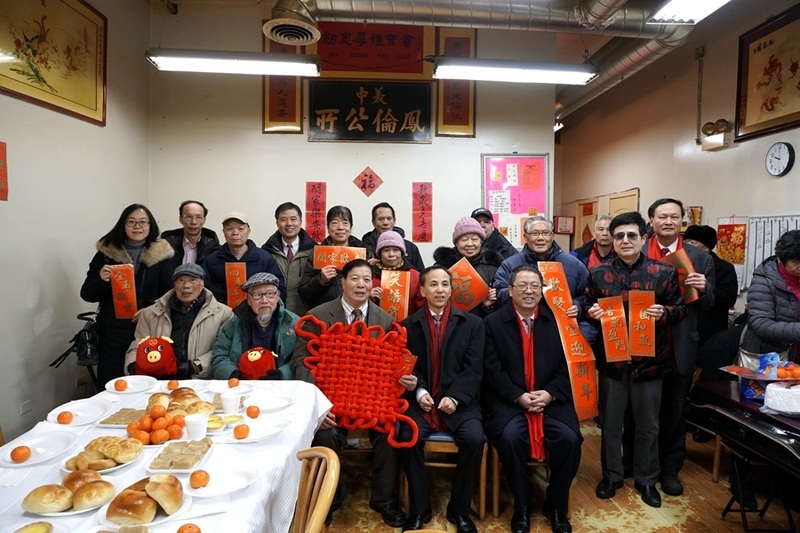 At the end of the evening, lines of red lanterns shined their lights down the streets of China Town, a gentle yet powerful glow piercing gracefully the dropping blanket of feather-winged snowflakes. 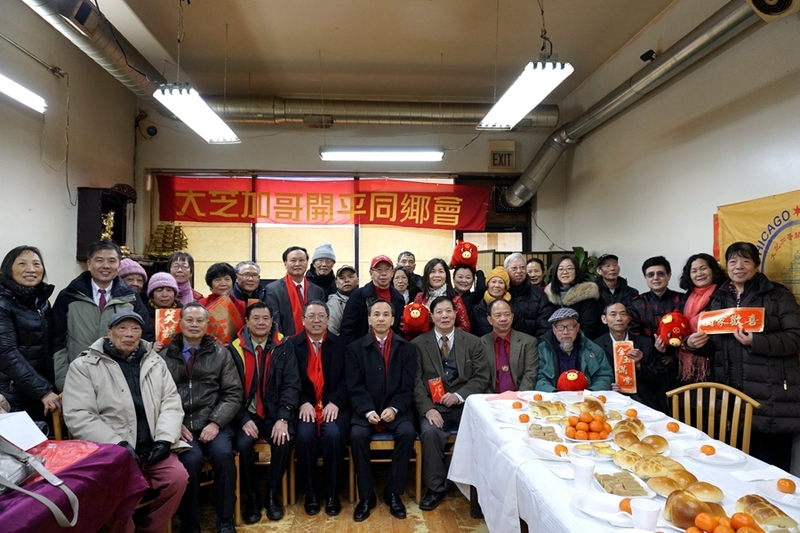 The spirit of the Spring Festival came alive, ringing promises of an auspicious year to come.